I’m just working on my neck and stomach muscles…care to join me? He is losing his newborn face. Wow. He is growing so fast! What a cutie pie he is! Oh my gawwwwwwwwd! Those eyes! Give him whatever he wants, no questions asked. He looks so much like Maddie in this picture!! I was just about to say the same thing! Wow! This is why I read the comments first … I, too, think James looks just like Maddie in this picture!! What a cutiepie!! Wow – gorgeous! And looking a LOT like Maddie! Omg that side part!!! And those crystal blue eyes like Mama and Maddie!!! He is just perfection!!! That little button nose?? Are you kidding?? Stop trying to make me want to have another baby, Spohrs!!!! He looks so much like big sister, Maddie,,,what a doll baby! Dude, he is SO CUTE. Wow, he really looks like Maddie! He is absolutely a stunner. He looks much like his Biggest sister! Heather…I sent you an email a couple of days ago! Thursday…maybe it went to your spam folder? Oh no! It probably did. I will check later when I get home, sorry about that!! Oh Heather, I looked at this picture and thought “wow…he looks a lot like Maddie” What a cutie pie! Heather, your photography skills are amazing! He is stunning! You Spohrs have the most amazing eyes, and James is no exception. So much depth of color in those baby blues. And as everyone else says, I agree: He looks a lot like Maddie. But his little nose is all Annie. So cute! I agree! He looks so much like Maddie in the eyes, but that little button nose is all Annie!! He is such a beautiful mix of both of your girls. Heather, what kind of camera are you using? I used a Canon 7D for this shot! 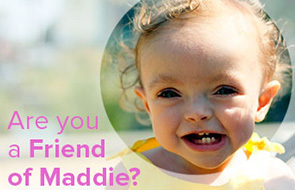 WOW – spitting image of Maddie!! So beautiful! oh how is he!!! and what a great combo he is of both of his sisters!!! James, have you been working out? Nice muscle control! Everyone says he looks like Maddy, but I think he looks like his dad!! I was thinking the same as everyone else-he looks so much like Maddie in this picture. Maddie’s eyes and overall facial features (and looks like her hair color, soon! ), and Annie’s nose. What a beautiful combination. Gorgeous picture! He does look so much like Maddie, but yet he’s still his own little person. He looks like a combination of both your girls here! The eyes! Oh those piercing, crystal blue Maddie eyes!!! He’s adorable:) Do you see Madeline in him as much as some of us do? I do! It makes me smile. Wow…he looks just like Maddie!! Beautiful baby boy and gorgeous blue eyes! For a second I thought I was looking at an old photo of Madeline. Serious. Some days I think he looks JUST like Annie. Other days Maddie. Kinda cool that he is a mixture of them both. Was a beautiful boy! Don’t you just love being a mommy to a baby boy? I think he looks a lot like Maddie, I hope that brings a smile to your heart. He looks just like Maddie! Looking more and more like Maddie every day! Those eyes..that hairdo. I can’t. He is the cutest thing I’ve ever seen!!! Look at those eyes! Holy moly, he’s adorable.